Milano Stone Ltd - Bathrooms, Bedrooms, Kitchens based in Bradwell Abbey, Buckinghamshire. CALL US FOR A FREE QUOTE !!! 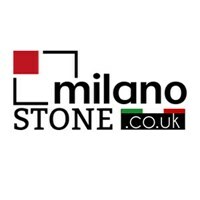 Milano Stone Ltd are a specialist stone company with over 25 years’ experience in delivering high-quality worktops. We are specialist suppliers, fixers and restorers of Marble, Granite and Quartz. For Milano Stone Ltd every order we receive is only ever considered complete once you are truly happy with our work. We understand the importance of adding the perfect finishing touch to your kitchen, bathroom or fireplace and put you and your needs first at all times. We provide a personal approach from the very first telephone call or email right through to the installation process, ensuring that you are fully satisfied. We are happy to offer a free consultation and quote on any of the services that we offer and are always delighted to assess each customer’s bespoke needs.